Members of Depeche Mode and Glasvegas each have revealed that their bands have recorded new U2 covers that appear to be connected to the Irish megaband’s 20th anniversary reissue of Achtung Baby, which arrives in November in a variety of formats including a $660 “uber deluxe” edition stuffed with CDs, DVDs, vinyl and more. While U2 has not announced any kind of cover-version component to the forthcoming reissue, Depeche Mode’s Andy Fletcher, in a press conference in Belarus that was uploaded to YouTube today, says, “We have just done a cover version of a U2 track, which will be released in November.” Fletcher, who was in Minsk for a DJ gig, doesn’t elaborate in the short clip, which you can see below. That follows an interview with Glasvegas guitarist Rab Allan published in the NME on Aug. 22, which includes, “He also revealed that the band would be recording a U2 cover this week for a special reissue of the band’s classic album Achtung Baby.” Again, no further elaboration is given. 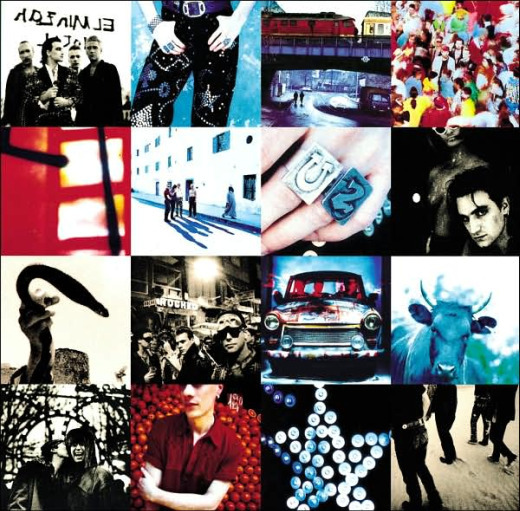 For details on what is officially known about the Achtung Baby reissue, go here. UPDATE 9/9/11: According to Rolling Stone, British music magazine Q has commissioned the album of Achtung Baby covers, which will feature Depeche Mode (“So Cruel”), Jack White (“Love is Blindness”), Patti Smith (“Until the End of the World”), Damien Rice (“One”) and more. Could it be for the “Baby” version of Achtung Baby that’s part of the full box set? Alternatively, the magazine cover cd sounds most likely. The editor of Q magazine tweeted last week that he was interviewing U2 this week so maybe they’re doing a special issue. Hmm, just noticed that the Uber-Deluxe edition isn’t featured on that Universal Music site any more. Pity they couldn’t have used a different concert for the dvd other than the already released Sydney show. They must have 100’s of hours of concert footage from that tour. I’ve read somewhere that the DM track is “So Cruel”. My guess is that what ever DM did for the U2 cover it will probably sound better than the original.